New York, NY, August 7, 2015 -- /EPR NETWORK/ -- FTL MODA has joined forces with the Christopher & Dana Reeve as a nonprofit partner for NYFW Spring/Summer 2016 (SS2016) for its presentation on September 13, 2015 at the historic Vanderbilt Hall at Grand Central Station. With a shared mission to push boundaries and challenge disability stereotypes on runways and beyond, the upcoming chapter of FTL MODA at NYFW promises to impact the global fashion scene. In a groundbreaking event last February, FTL MODA’s finale show featured models from around the world living with disabilities, setting a critical precedent about inclusion and the importance of redefining fashion industry standards. By partnering with the Christopher & Dana Reeve Foundation and Global Disability Inclusion, FTL MODA will once again cast a diverse range of models, including models living with disabilities, as part of the lineup for the upcoming SS2016 catwalk. “We are extremely proud and very excited about this alliance with the Christopher & Dana Reeve Foundation, an esteemed nonprofit recognized for driving innovative research and improving the quality of life for those living with paralysis. We share their steadfast commitment to raising awareness for the paralysis community and together, we will break down barriers to achieve total inclusion for models living with disabilities across the most prestigious runways of the world. By challenging the stereotypes surrounding disability, we will truly create fashion free from confines,” said FTL MODA Producer Ilaria Niccolini. “We are also thrilled to confirm our partnership with Global Disability Inclusion, LLC. After our synergy for the February show in NY and fashion week in Milan, Italy we are pleased to have their participation in the September 2015 show” concluded Niccolini. At the core of the fashion industry is a forward-thinking and ever-changing notion of beauty: a concept that should not only apply to the clothes, but to those who wear them. For this SS 2016 presentation, FTL MODA will also proudly collaborate with renowned advocate, Madeline Stuart, the Australian teen model with Down Syndrome. FTL MODA continues its tradition of showcasing outstanding and prestigious designers. The selection of designers for FTL MODA SS2016 includes Carmen Steffens (Brazil), Anna’s Loud (Italy), Wild (Germany), Archana Korchhar (India), Alexandra Frida (the Netherlands), and Hendrik Vermeulen (South Africa). The opening show will feature acclaimed South American brand Carmen Steffens, debuting at NYFW with world-class top models and special VIPs in attendance. The shows promise to be innovative and cutting-edge under the dramatic make-up direction of top international MUA Einat Dan and Valeria Orlando. 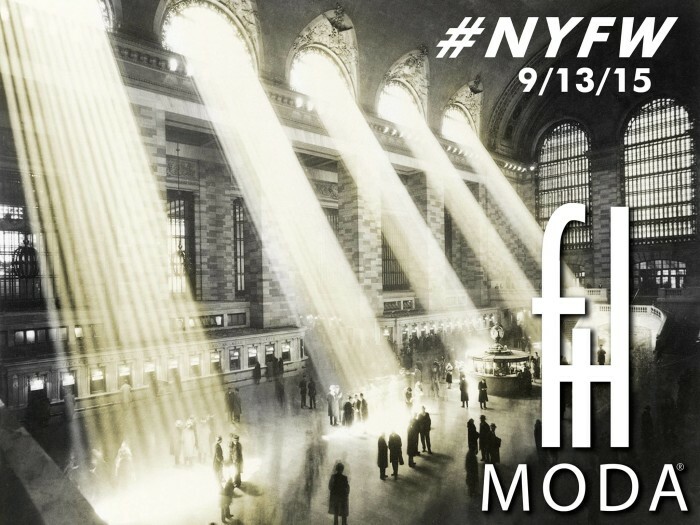 A two-day showroom activation will follow the FTL MODA runway presentation at the Fitzpatrick Manhattan, on September 16th and 17th, with highly renowned fashion blogger and ASVOFF Film Festival President Diane Pernet as the keynote speaker. Founded in 2006 by Ilaria Niccolini Production, FTL Moda has been presenting runway shows internationally and has established itself within the Italian fashion community as a bridge for Proudly Made in Italy to showcase at an International level. FTL MODA has been recognized by the Italian government of the Region of Lombardy as the official platform to support Made in Italy in the world. After the third season with Mercedes Benz Fashion Week New York, the FTL MODA platform makes a step further as an official platform under the umbrella of the Council of Fashion Designers of America in one of the most prestigious venues in NYC. The Christopher & Dana Reeve Foundation is dedicated to curing spinal cord injury by funding innovative research and improving the quality of life for people living with paralysis through grants, information and advocacy. We meet all 20 of the Better Business Bureau’s standards for charity accountability and hold the BBB’s Charity Seal. For more information, please visit our website at www.ChristopherReeve.org or call 800-225-0292. Global Disability Inclusion, LLC is a boutique consulting firm providing disability inclusion strategies for global companies and U.S. Federal Contractors. Our work helps companies realize the business benefits of including people with disabilities in the workplace, the workforce and the marketplace. For more information visit our website at www.globaldisabilityinclusion.com, or contact us directly at info@globaldisabilityinclusion.com.